The moment you pull up at the ornate electric gates at the entrance to Haven Hall you realise that you are in for a special treat. 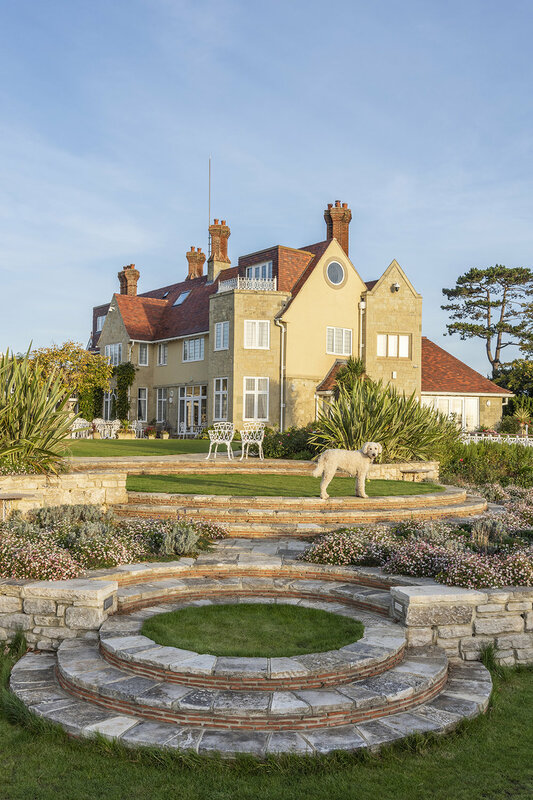 As the gates open and you drive into the huge gravel car park, this Edwardian house presents itself in all of its glory. It had only takes us two hours from our home in Bedfordshire, crossing to the Isle of Wight from Southampton, where we had breakfast on the Red Eagle, one of Red Funnel’s vehicle ferries followed by a stroll around the deck watching the yachts sailing across the solent. We were met by David Barratt, the owner, who kindly gave us a guided tour of this 5 star property. As we went from room to room, myself and Sue found ourselves repeating Wow! over and over again, every space had been so tastefully furnished by Arielle, David’s wife. 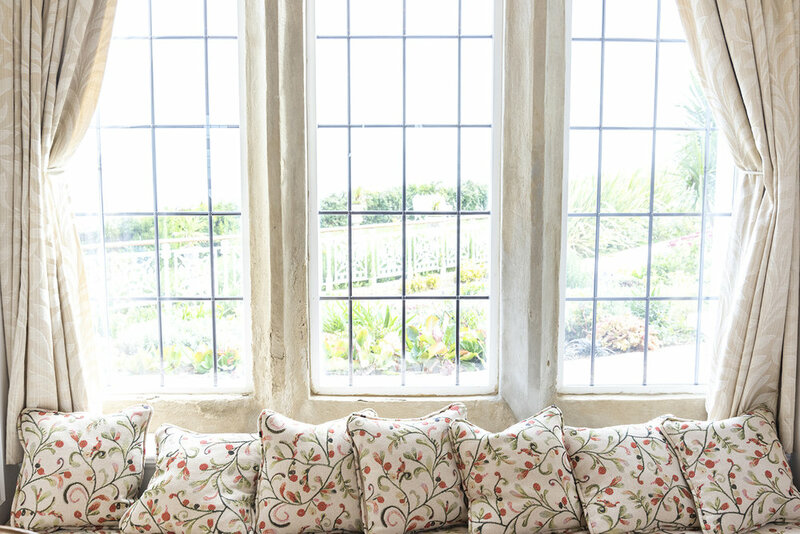 Back in 2013 David and Arielle fell in love with the Overstrand Hotel, as it was then known by and although it seemed in reasonable condition, lots of problems surfaced with the leaky roof, ancient plumbing, old wiring and flooding in the basement. Step forward five years and what a transformation. By 2014 all that was left were brick walls, floors and rafters. Local builders, bricklayers and stoneworkers were employed on the restoration. 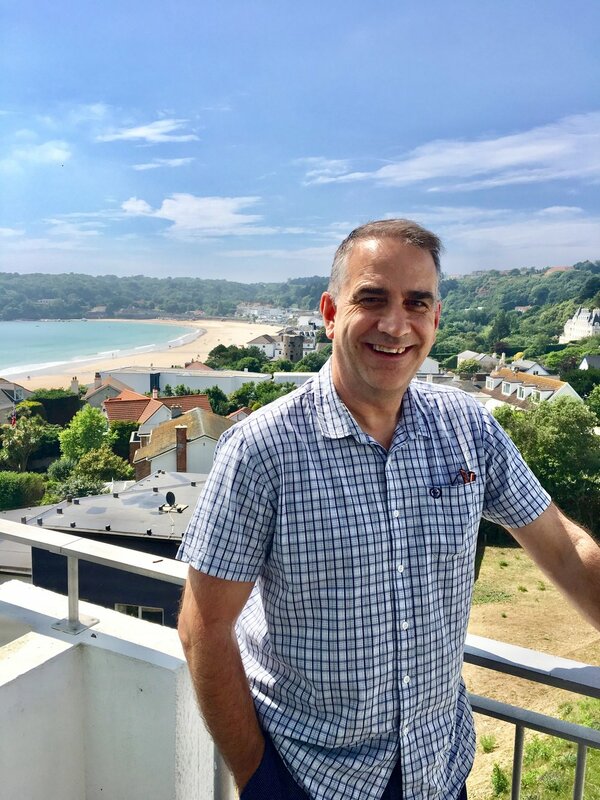 David project managed all of the major works himself including, demolition, earth moving, drainage, air conditioning, CCTV security and WiFi. At one stage there were 55 men working on site. 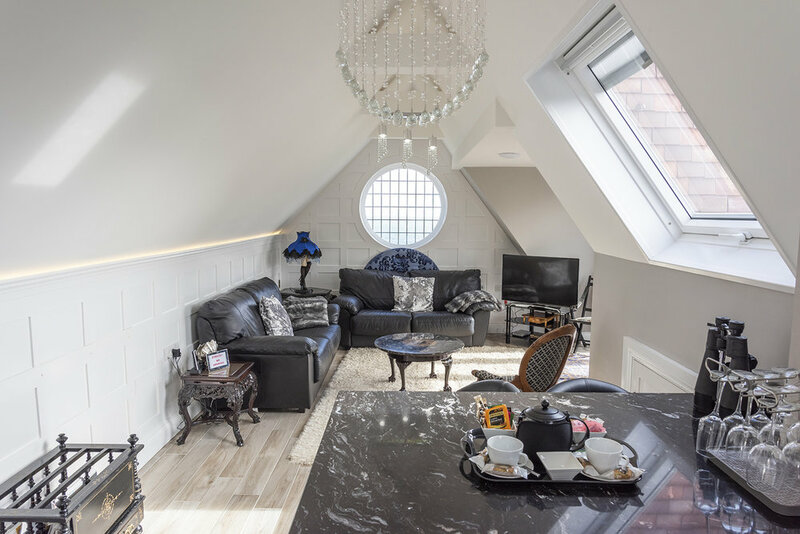 Arielle’s creative expertise is something to behold, she drew the initial plans and then sourced the furniture and fittings for 15 bedrooms, 9 lounges, 8 kitchens 3 dining rooms, 22 bathrooms and 2 sheds! Refurbishing some of the furniture herself and visiting auctions and reclamation yards and if that wasn’t enough she then went ahead and designed the landscaping for the gardens too. 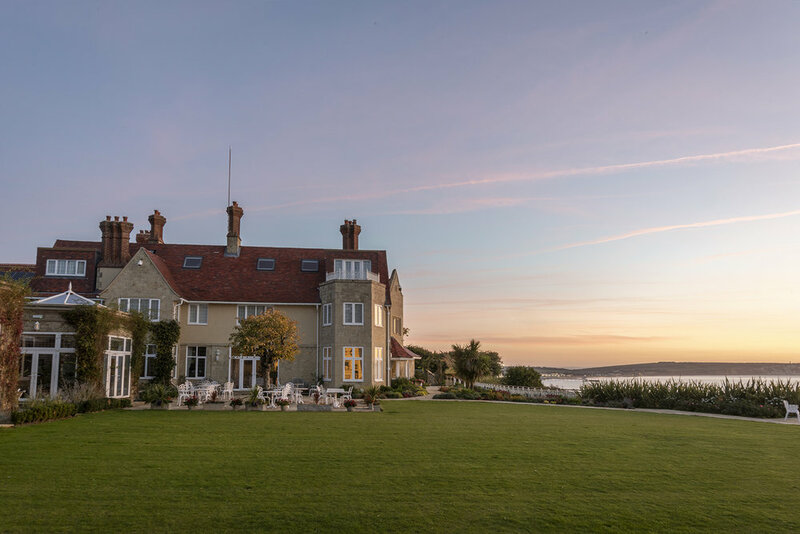 It is no surprise that the garden won the ‘Best Hotel Garden on the Isle of Wight’ presented to them by Alan Titchmarsh. There is a heated outdoor swimming pool and tennis court as well. 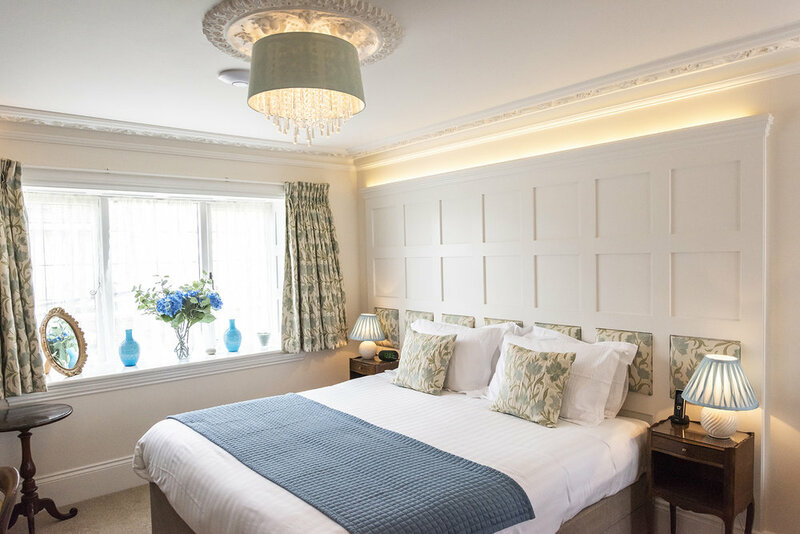 Haven Hall has 14 en-suite bedrooms, all with sea views and bathrooms or shower rooms, smart tv, tea and coffee making facilities, hair dryers, iron and ironing board and laptop safe. They also all have fabulous super-king sized beds, crisp linen and plump pillows…A lovely nights sleep left me fully refreshed to get up at dawn to take my sunrise photographs. 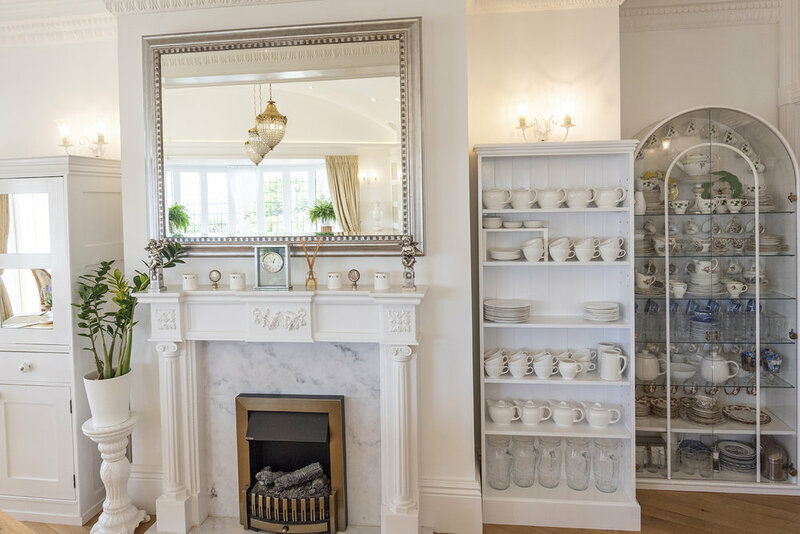 There are ornate chandeliers and special lighting effects throughout and state of the art air conditioning with individual controls, so the perfect temperature was always maintained. 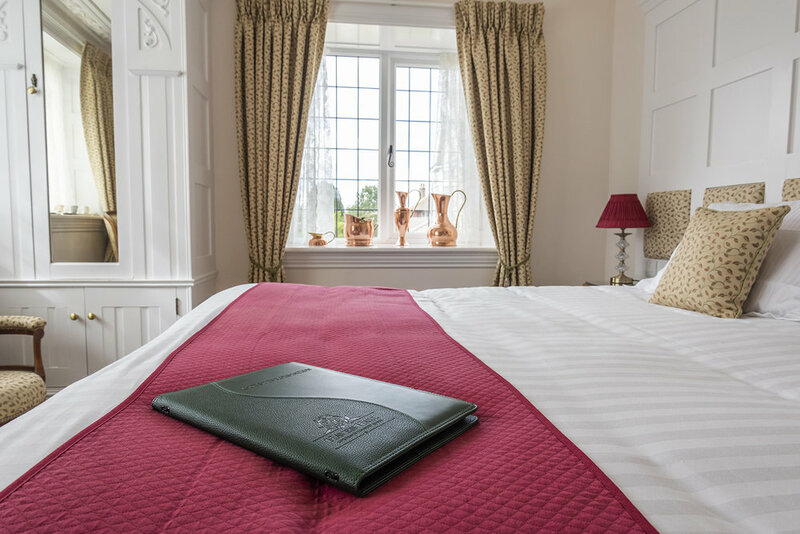 The hotel rooms have great names such as ‘Victoria & Albert’, a nod to the fact that they built their home to raise their family at nearby Osborne House, ‘Winston Churchill’ the room that we stayed in with classic elegance, antique furniture and original cast iron fireplace. 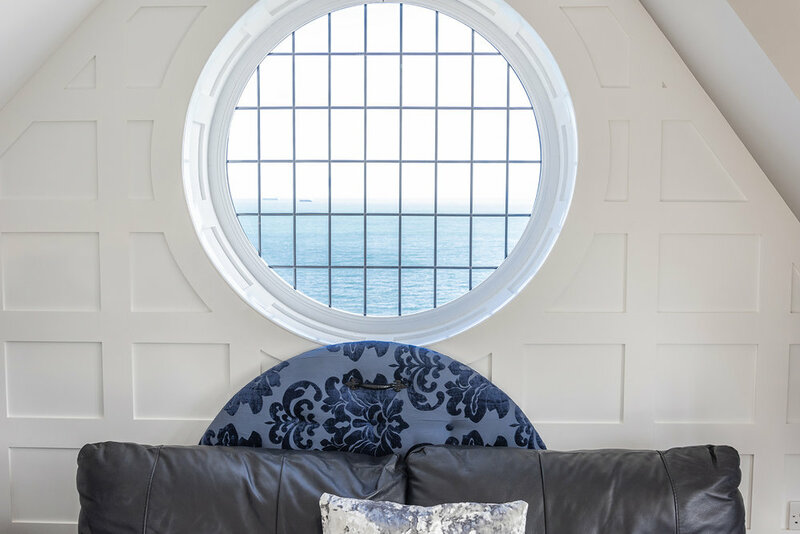 Large aspect windows overlooked the patio and garden with views out to sea, so we could sit and watch the sailing club manoeuvring their yachts on the glistening sea. John Keats, Charles Darwin, Tennyson, Lewis Carroll and Charles Dickens complete the bedrooms in the house. There are also seven 5 star luxury self-catering holiday apartments. 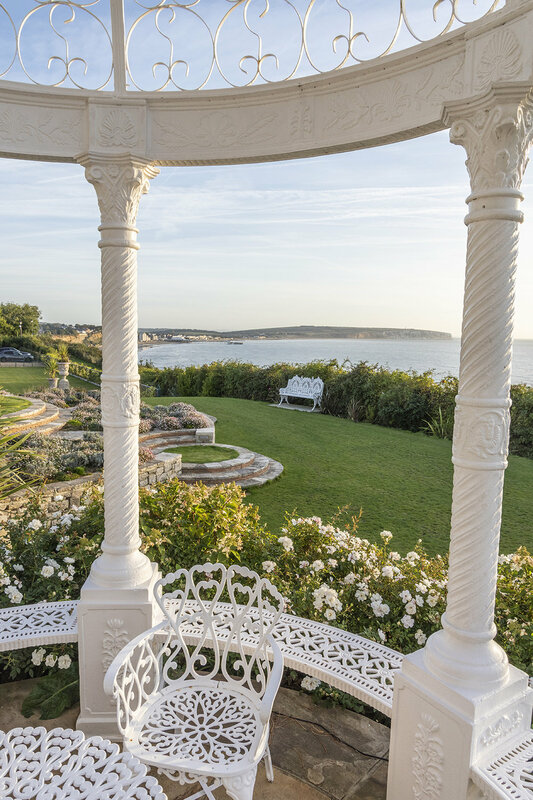 Breakfast buffet is served in a beautiful bright French-windowed airy room, with views overlooking the garden and out to sea. Delicious locally produced sausages with bacon, eggs and mushrooms. Plenty of cereals and freshly cooked pancakes, which were my favourite. It was also nice to see that David and Arielle took the time to come and speak to the guests each morning, sharing recommendations for spending your day. They kindly gave us vouchers for our day at Osborne House, which for a history buff like myself and Sue’s interest after watching the recent ‘Victoria’ drama, made for a great day out. Haven Hall exuded a feeling of calm and relaxation throughout and the landscaped gardens were beautiful to take a stroll around. Maizie, the owner’s dog came and introduced herself to me whilst I was taking photographs and was quite content for me to give her tummy a stroke whilst she laid on the patio. 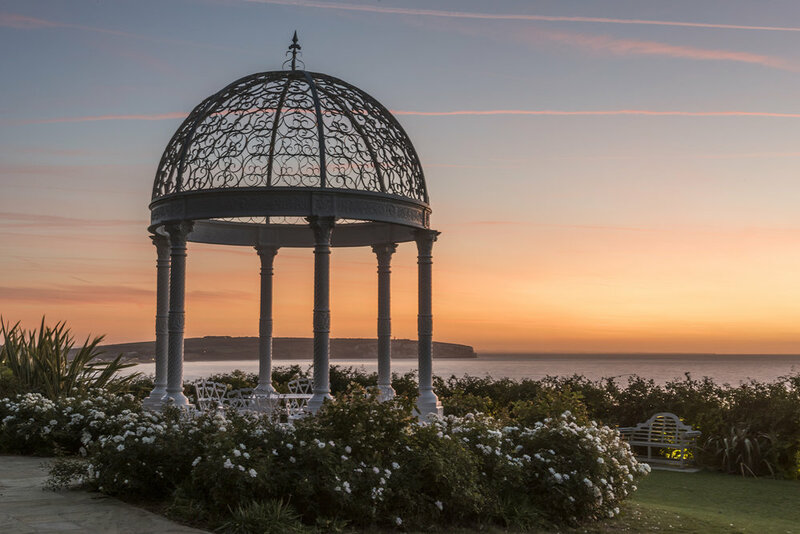 The sunrises overlooking Culver Down in Sandown were magnificent, just too good an opportunity to miss, so it was a 06:00am alarm call for both days, so that I didn’t miss this spectacle. On the Saturday morning I walked down the footpath adjacent to the property on to Shanklin beach and on the Sunday morning I drove the short distance to Sandown and then on to Bembridge Windmill for these pictures. 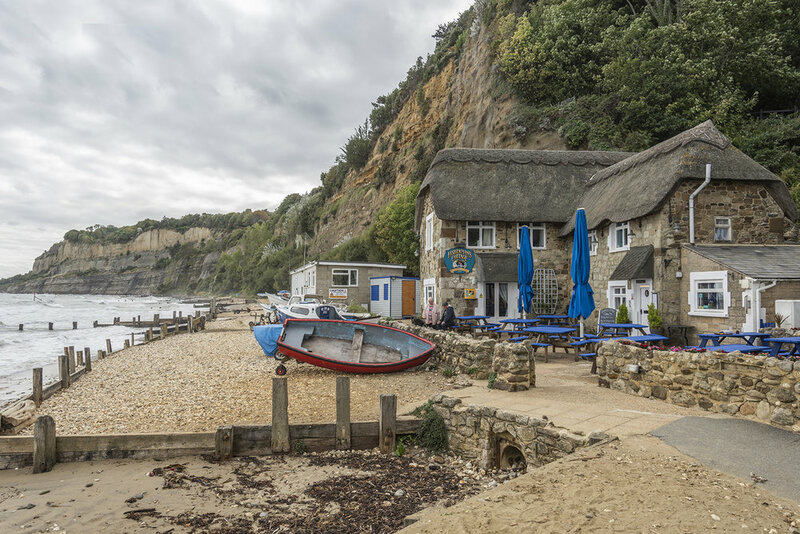 You will find the Fisherman’s Cottage nestling at the far end of Shanklin Esplanade, the town’s original thatched dining pub on the beach, with flagstone floors and exposed beams. Thank you to Haven Hall for having us to stay! Our stay was complimentary. As always, all opinions are my own.